In just the last few years, new technologies have revolutionized the way people integrate mobile in their lifestyles. Faster networks, more advanced smartphones, and more innovative apps, among other things, have redefined the way we share information with friends, the way we purchase things from our favorite brands, and the way we access entertainment content, just to name a few. As a result, demand for data connectivity has skyrocketed, as we’re seeking ever more access points and ever more capacity to enable the data-intensive interactions of today’s mobile lifestyle. Data connectivity has become crucial for mobile users who leave home and made it a top priority for the mobile industry to accommodate. Syniverse recently made some important progress in helping meet this rising demand in a unique project in Indonesia, through a special collaborative effort with Samsung Electronics. Together, we co-developed a Wi-Fi app that enables users to more easily find and connect to the country’s largest Wi-Fi operators. The app is preloaded on select Samsung devices in Indonesia and available in the Google Play store, and since August, Samsung has been using this app to offer complimentary Wi-Fi access in Indonesia for 90 days for consumers who purchase select Samsung tablets. We were recently privileged to have this joint effort profiled in a new case study by the Wireless Broadband Alliance, and I invite you to check out this report. It’s one example of the way that today’s mobile service providers and technology companies are coming together to empower users with Wi-Fi coverage in some of the most populated places on the globe where demand is highest. I invite you, too, to chime in with your thoughts. 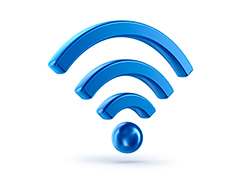 Do you think global Wi-Fi coverage will grow dramatically in the next few years? What kind of places – shopping malls, transportation centers or government offices, for example – do you think are in the most need for more Wi-Fi coverage? Please leave a comment.